Imaginatively titled as it is, it does what is says on the tin. I'd been at the Year 11 Prom last night until 1am dealing with the usual shenanigans, so it wasn't until 10am that I surfaced this morning. I was out the flat within the hour, and headed on the usual southeast London birding (gulling) circuit that I seem to do every weekend day. Thamesmead was the first stop, and the gulls weren't feeling the bread I lobbed out off Princess Alice Way. So on to Crossness where the tide was on its way out slightly. 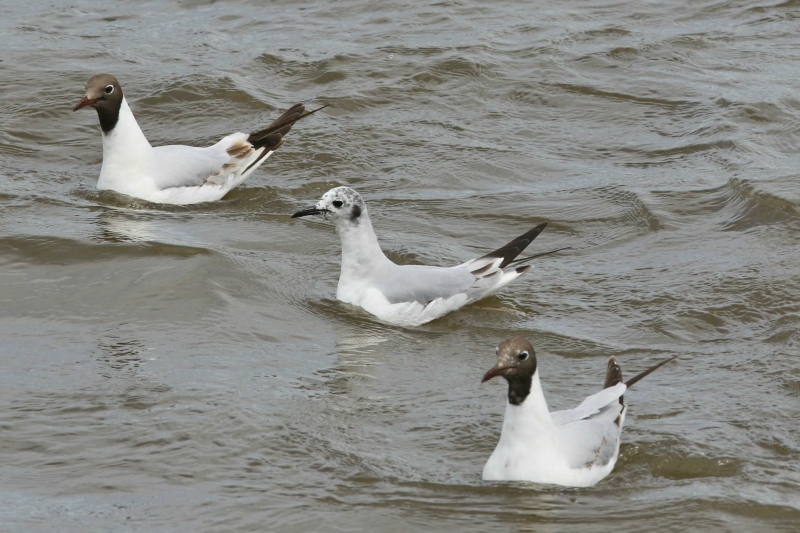 Still pretty high, and as I walked east towards the outfall it was obvious there were lots of Black-headed Gulls about, considerably more so than last Sunday. 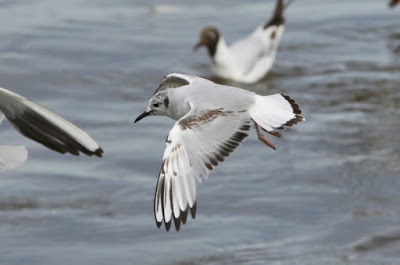 There'd been a couple of Med Gulls the last couple of visits, and every visit is seeing an increase in the numbers of juvenile Black-headed Gulls - which are underrated lookers. So it was just one of those days, where I started scanning for something different as I always do. After c.5 minutes, on the water at mid distance, was a gull that took my interest... that immediately screamed only one thing, a 1st-summer Bonaparte's Gull. This time, the dark nape was one of the first things that grabbed me (as well as the small size) before I looked at its thin, black bill. Always worth getting closer looks, I chucked a couple of slices out and the commotion was enough for it to come in - showing its lovely underwing as it did so. 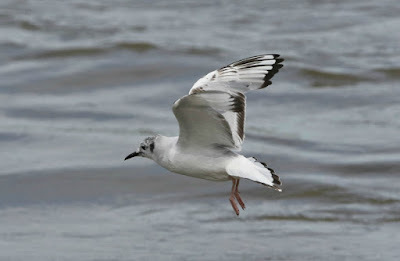 And yes, there is was - another Bonaparte's Gull found! The third one I've found here, and the fifth I've seen at Crossness since finding the first for London as recently as 2012. A mega track record for this site, especially considering we're talking about a North American species in the southeast of England. And bizarrely too, the second Bonaparte's Gull I've found in 2018 after the one at Killybegs in February. It'd be nice to find something different next! It's always a good day when you see or find something locally here in London's bird abyss, so after an hour or so - having watched it from 12.15pm to 1.10pm - I left for home and an enjoyable brunch with Karen. There was a Little Egret about too, and the first Redshank I'd seen on the Thames for a month or so, so assume the first autumn returner.